If you're shopping for a puzzle gift online, our gift store is the right place. Our jigsaw puzzles are not pre-built or pre-packed but "Made to Order". 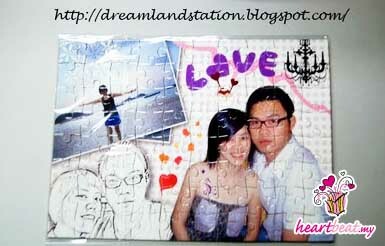 Our unique gift idea is to let you have the Personalized Jigsaw Puzzle you would like. 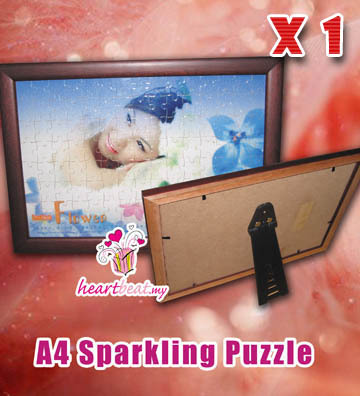 We do this by letting you choose the photo to be used and selecting the size and different types of puzzles. 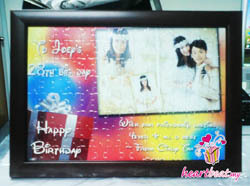 We have also A3 (300pcs), A2 (500pcs), A1 (1,000pcs), and A0 (2,000pcs) sizes of puzzles. Have fun! hi!..tnxx 4 d delivery!..lawa sangat stuff tuh!..suke3!!! 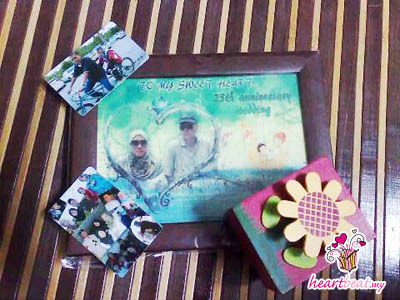 =D...tnx heartbeat for make me easier to shop..no need to go out for shopping..n its save my time :) .. WOW!!! I feel satisfied with your efficient service on this order, you have done everything fast & good job even for delivery courier services too. I hope that mine opinion on the printing will help you on further order from customer to achieve their satisfying, in future your business become successful & perfect. This is a simple and convenient way for me to order an unique gifts for myself or friends. Lot of my friends like the unique gifts i sent to them. 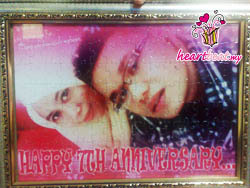 Thanks heartbeat to provide this special and good services for us. I received the puzzle which I ordered. It nice and I like it so much. I’m always head ach with what I should buy for my friends when their birthday is coming. I’m a person who does not have much idea to choose the present. But I wanted to present my friends some unique present. I heard about HeartBeat this name from my friend when I received a birthday present which my best friend bought from HeartBeat website. It is really great and nice. I like that mug much because when use I can see my picture and her picture printed on the mug. HeartBeat has the fast response when I’m ask a question and good in customer services. It can make my present can deliver to my friend on time. Thanks. 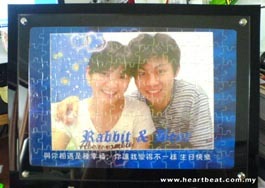 i really satisfies with the puzzle.I like the puzzle so much n i will order other stuffs later. It is really easy and i don't need to go shopping in mall.I just can order it from the website for the unique and memorable gifts. Your service also quick and efficient.